The output set is a critical part of your Tessitura list import because it provides all the data for your list import. Both types of Tessitura lists - List Manager lists and Extraction lists - use output sets. Output sets are important if you plan to include any personalization in your templates through data fields. Tessitura Preferences are even imported into WordFly via output sets. This article will cover all the important steps around creating your output set in Tessitura. If you need help with output set criteria or additional troubleshooting, please reach out to Tessitura support. Is your output set not showing into WordFly for a List Manager list import? Does your output set return multiple rows per subscriber? Is your output set not pulling in data? Is your output set failing in Tessitura? Those are the most important points. If you are adding personalization to your email (first name, salutation, membership expiration etc), you will need to include that data in the output set as well. Date (month, day, year, time) and Number data must be in proper format for WordFly to import the data. Learn more about acceptable number and date data formats for your list data. If you cannot find the element you need, you must create it in System Tables TR_QUERY_ELEMENT. Your output set must return a single row per constituent. Your output set cannot include any elements that have a * because these return multiple rows per subscriber which would then create duplicate records in WordFly. Review section 4 in this article for more ideas if faced with this situation. WordFly uses the output set to determine the columns for your list import so that you can do the data field mapping during the list import process (including when importing an Extraction file which is generated in Tessitura first). Let's review how to create an output set in Tessitura and additional guidelines. 1. Select Tools > Output Set Builder from the top navigation options. 2. Select New Set from the bottom of the screen. 3. This brings up a new window where you can start building your output set criteria. Your output set criteria defines what data will be included in the list when it is generated. 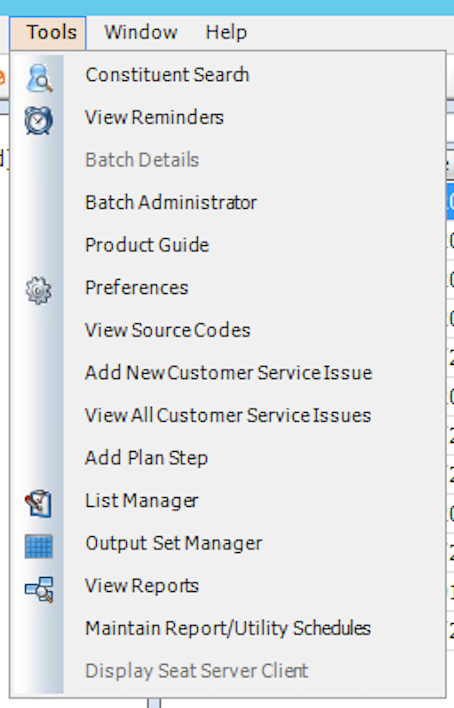 Output set elements are what define the criteria and provide the data for your output set. In v12.5 Tessitura, drag criteria (elements) from the left side to the criteria panel. Open folders on the left to see specific criteria options. In v14+ Tessitura, on the Output Elements tab, click Add Elements from the upper right of the web view to search for an add output set elements. 4. Save your output set. When you are finished adding elements for your output set criteria it's time to Save your output set. Saving your output set will be a different set of steps depending on the version of Tessitura. In v12.5 Tessitura, when you are done adding criteria you can select OK from the criteria pop up. This will ask you to Save. In v14+ Tessitura, when you are done adding criteria you will select Save in the lower right of the web view. When you go through the saving process you will be asked to Name your output set. In v12.5 Tessitura, you will see this pop up to name and save your output set. In v14+ Tessitura, you will see this pop up to name and save your output set. 5. Under Output Set Builder, highlight your output set and select Edit from the lower navigation. Or, you can right-click on your output set and select Edit. You must check the TMS Indicator box for output sets that you want to have available to you in WordFly. You must check your output set has the correct WordFly control group selected for it. In most cases, you will select the default control group. Consortiums will select specific organization control groups. Edit your output set in Tessitura anytime. In Tessitura, go to Tools > Output Set Builder, then double-click on your output set to edit the criteria you would like to include or right-click on your output set and select Edit. Make any necessary changes here to your output set in Tessitura. After making changes to your output set in Tessitura, go into WordFly and in the Tessitura list import process steps be sure to click Refresh Data before you import your list. This will ensure that WordFly is using the most recent version of your output set. You'll find this button on the Extraction and List Manager list import screens. There are a few common issues with output sets that are easy to resolve. Below are the most common output set issues that come up during list imports. Check that you don’t have multiple rows per constituent in your output set. To successfully import your list into WordFly, your output set must return a single row per constituent. Learn more. *Refer to the screenshots under Creating your Output Set in Tessitura for visual guidance. If you've checked these three things, if you still aren't seeing the output set, there may be a configuration issue in Tessitura. Please run the following query against your impresario database: exec dbo.WP_TMS_GET_QUERY -1. Confirm that it returns all of the expected output sets. 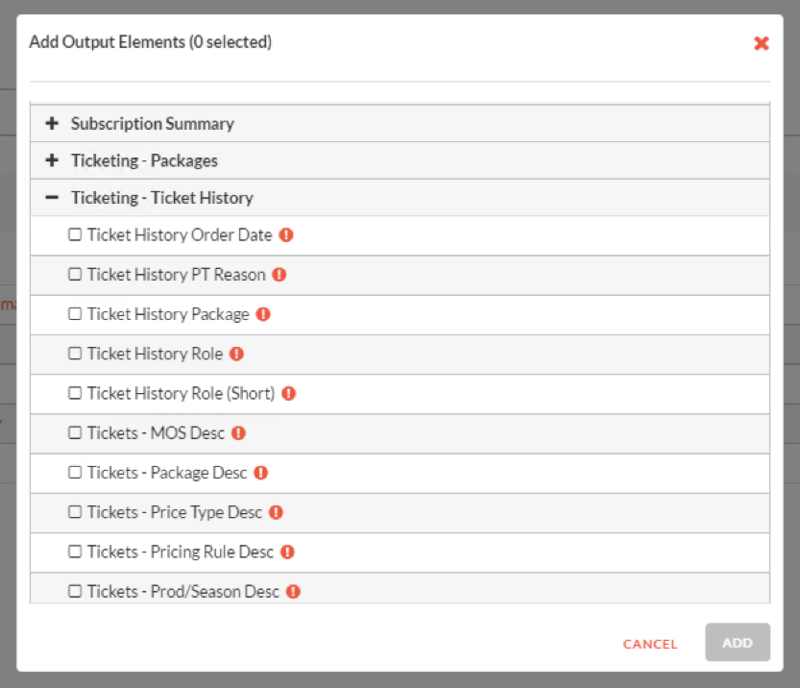 Tessitura output sets that return multiple rows per subscriber won't successfully import into WordFly. Any output set element that has a * returns multiple rows and cannot be used. This includes popular data such as performance date and performance name. We know there might be occasions where this will come up. Let's look at what you can do as a workaround. Example: You want to send to all email addresses associated with a subscriber's account. Solution: Import your list twice! Since WordFly uses the email address to uniquely identify a subscriber, you'll be able to import the same Tessitura customer into the list multiple times. Use two different output sets. The first would include name1 email address; the second would include the name2 email address. Import your List Manager list into WordFly using the first output set. On the WordFly List Summary page, select Add More Subscribers from the More List Actions menu. Import your List Manager list again, this time using the second output set. Or, work with Tessitura support to write a custom output set that pulls each address on a subscriber's account. Example: You want to import performance information. Solution: Create a custom output set element for your performance information! The best workaround for performance information is to create a custom output set using a custom view. This is usually a job for a database manager. Look at where the performance information is being stored in Tessitura, typically from ticket history tables. You'll be able to create a unique output set element that returns only one row per subscriber and can be used by WordFly. For additional support, work with Tessitura support to create a custom view and custom output set elements to return performance information as a single row. When your output set is not providing the data for a particular element, check the control group on the element itself. The control group must be available to WordFly. When your Tessitura list is not importing into WordFly we might find that the process is failing with the output set. We'll be able to identify this with Tessitura logging enabled. The error in the logs will be connected to the 'wp_tms_get_list_data' Tessitura stored procedure. WordFly support will be able to confirm if this is the problem. In these cases, the next step will be to investigate the issue with Tessitura support. Before reaching out to Tessitura support you can run a client trace while attempting to execute the output set in Tessitura. This usually helps pinpoint where the output set is failing. Select Help > Log Viewer from the menu in Tessitura. In the Log Viewer window that opens, set the logging level to ‘Trace’. Leave that window open and go back to Tessitura and execute the Output Set. Maximize the Log Viewer window. Save the trace file and attach it to your Tessitura support ticket.